In June 2010 I decided I wanted to go and volunteer abroad to get myself out of the rough patch I was going through. I had no idea what I wanted to do or where I wanted to go, I literally type in to Google volunteer abroad and ordered brochure’s from the sites that seemed half decent. I ended up with BUNAC, Real Gap, I to I, Projects Abroad and maybe a few others. Each company is very keen for you to book with them so I was bombarded with emails and calls from them, however this didn’t help me! I looked for hours through the brochure’s, at the types of volunteering I could do, where I could go and the cost. Obviously volunteering isn’t cheap so I had to think about that very carefully. Somehow I ended up deciding I wanted to work in an orphanage and my country choices came to Port Elizabeth, South Africa or Zanzibar, Tanzania. Because of price I chose South Africa as this had all my meals included. The company I booked with was Real Gap, they were professional I was set up with an online account monitoring how my process was going, they got me a CRB check and put me in contact with the Flight Centre to book my flights. It was all very exciting! I booked the trip in June, costing £1200 for 5 weeks volunteering including all meals, transfers and accommodation. I then had from June until October to work, save and wait. On top of the volunteering I paid £800 for flights £90 for travel insurance as well as buying a new rucksack and other travel gear. This was my first trip volunteering I didn’t have a clue what to expect. There were many things I brought I really didn’t need and somethings I was so grateful to have. So all in all I ended up spending a lot of money. When I got there I was so nervous, the only instructions I had was someone would meet me at the airport with a name sign. I had been on 3 different flights, come through so many time zones and was really feeling tired from not sleeping on the plane. Walking out of the terminal I couldn’t see anyone with a name sign for me, I panicked. The reason there was no name sign was because there was a massive group of people waiting to meet me and the 2 others that had arrived at the same time. I felt relieved to have found who I was meeting, we took a mini bus back to our volunteer house and the rest of the day is a bit of a blur. The house was great, girls and boys had different bed rooms, we had a tv and kitchen room, games room, pool, a large garden and a top house. There were several people who had been here for 5 weeks already as they were doing a 12 week program, so getting to know everyone was pretty scary as they already knew each other. There were people from all over Americans, English, German, Swish, and Portuguese I never expected there to be such a mix. The night we arrived was also the last night for several people going home the next day so that night we went out and partied very hard, I instantly knew it was going to be a good 5 weeks. We volunteered Monday – Friday 8.30 till 4 but some days we would be picked up earlier or later it was all very laid back and flexible. In the morning we would look after the pre-school children then an hour plus of lunch break and in the afternoon we helped the school kids with their homework and played games. The place I was staying also ran sports coaching and teaching I tired both of these out during my stay. Several nights a week there were activities organised 5 a side football with the locals, dancing and brai’s in our back garden. 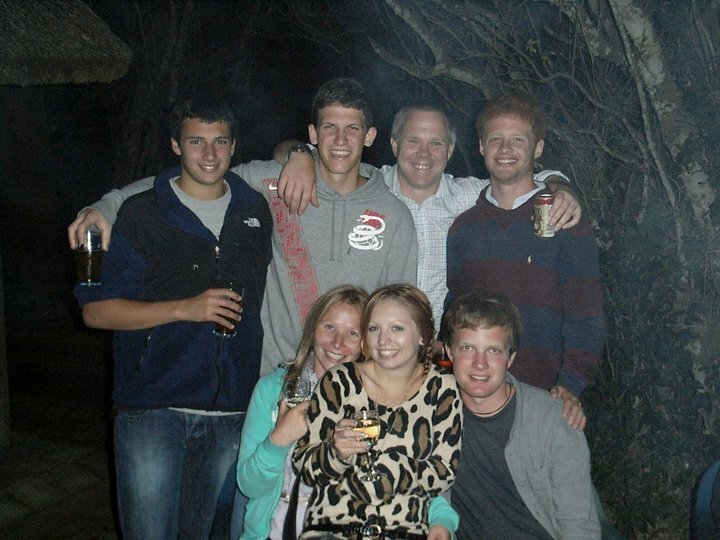 Each weekend we had to ourselves, sometimes we had trips arranged for us; Jeffery’s Bay, Safari, township stays/parties and bungee jumping we also arrange a trip to Cape Town over a long weekend. Many nights during our stay we would go out to some of the clubs that were recommended by the staff at the house, they would even drive us, come with us, or arrange a taxi for us. I was not prepared for this at all, I barely had any going out clothes or anything as every piece of information I had read beforehand, said that drinking was frown upon and you would not be allow to go volunteering still drunk, how wrong that information was. The 5 weeks I was there flew by, I made some amazing friends and saw so many amazing things. The charity I worked for ‘Umzingisi’ worked really hard to make a difference in the lives of the children in Port Elizabeth through sport. Shortly after we left the volunteer house they stopped working with our orphanage due to a disagreement with the way it was being run, however, I am still in touch with a member of staff from the orphanage. I would love to go back and see those kids one day. This was one of the most expensive trips I have ever done, but it was worth every single penny and if you ever get a chance to go and volunteer I would really recommend it, the rewards you feel personally from this are something you will never forget. I really love that second picture. I’ve always considered volunteering as well but the costs really do scare me off 🙁 I’m glad to hear it was such a rewarding experience; it definitely is good to hear a real persons perspective/experience. Congrats!